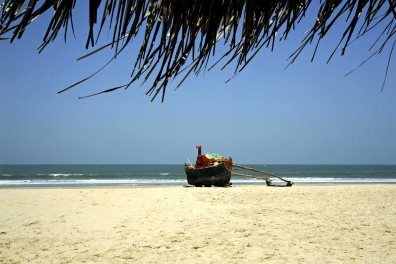 Hugging India’s western coast, the small exotic state of Goa can best be described as magical. It is blessed with a wonderful climate with long, hot winters and azure blue skies, a spectacular landscape with stunning palm-fringed shores, gentle meandering rivers and verdant jungle-covered mountains. And with a vibrant culture, a rich colonial past and such warm and welcoming people, it will capture your heart and leave you wanting more. 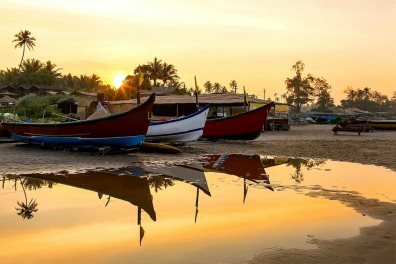 For a winter sun holiday and a gentle introduction to the Indian sub-continent, Goa is hard to beat. The exotic flavours of India are mixed with the familiar feel of European destinations, giving a unique and memorable holiday experience. 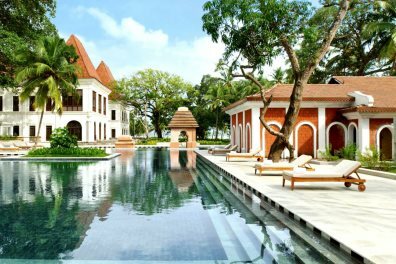 Relax on the beach, cooled by the sea breeze; kick back by the pool, measuring time by dips in the refreshing water and the disappearing cool drinks; luxuriate with a massage, gazing at the Arabian Sea; experience dawn on the river, soaking up the sounds of the dawn chorus. 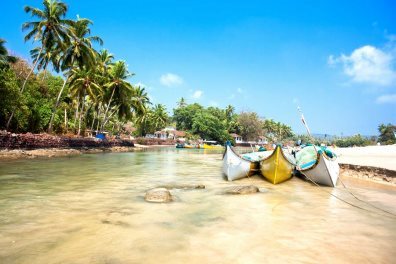 We have put together what we see as the definitive online guide for travel to Goa containing all the information you might need for planning a trip to this beautiful country. We're so excited to have Goa as part of our holiday programme and to be able to share it with our customers.